Last week, I threw out most of my old journals, around 140 spiral-bound notebooks. I'd filled these notebooks with hand-written scribbles for the last thirty years or so, and it felt good to purge my shelves, and my soul, of all those musings. Inside one of those notebooks was this little slip of paper, a note to me from the great Madeleine L'Engle, one of my literary heroes and a major influence on my life in so many categories, not the least of which is writing. When I was just beginning to write seriously, I valued every word that, by some miracle, came out of me and made it all the way onto paper, but I'd begun to wonder if holding onto all those spiral notebooks was a bit like hoarding. I know that in doing so I was thinking I'd never produce another piece of writing, ever, so I'd better hang onto the proof that I'd done it at least once. Even if no one else valued my writing, the thought process went, at least I did--and the proof was in those boxes filled with notebooks filled with pages and pages of my writing. I'm guessing that I took this drastic step of clearing my shelves last week because I was also on the verge of taking another big step: signing another publishing contract, this time for my second novel, "Fearless." Just a month ago, I'd made the decision to publish my first novel, "Belle o' the Waters," through a hybrid publisher, as described in this post. This new contract, though, is with an honest-to-god traditional publisher, New Meridian Arts, a small press who loved my book and offered to help me bring it to the world. I was thrilled to receive this news, but also surprised, since I thought it was going to be years before I found a publisher for this or any of my books. I was glad to be proven wrong! "Fearless" is likely to be published later in 2018, or early 2019. I will post more information about it as we get closer to the publication date. 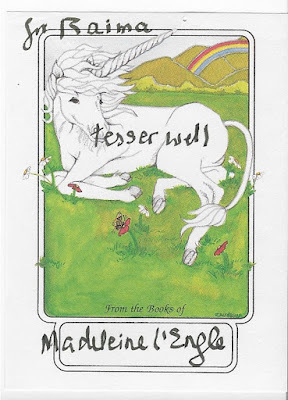 One more thing: Madeleine apparently often signed autographs with the phrase you see here, "tesser well," which is an odd phrase, and you won't find it many other places. It is based on a concept in her book, "A Wrinkle in Time," that had such a huge influence on my life. 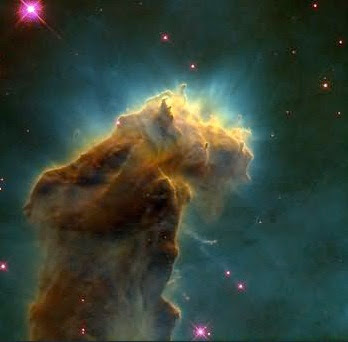 The phrase invokes her idea of a tesseract, used by the characters in Wrinkle to travel through time, so to "tesser" means to move from one point in time to another in an extraordinary way. 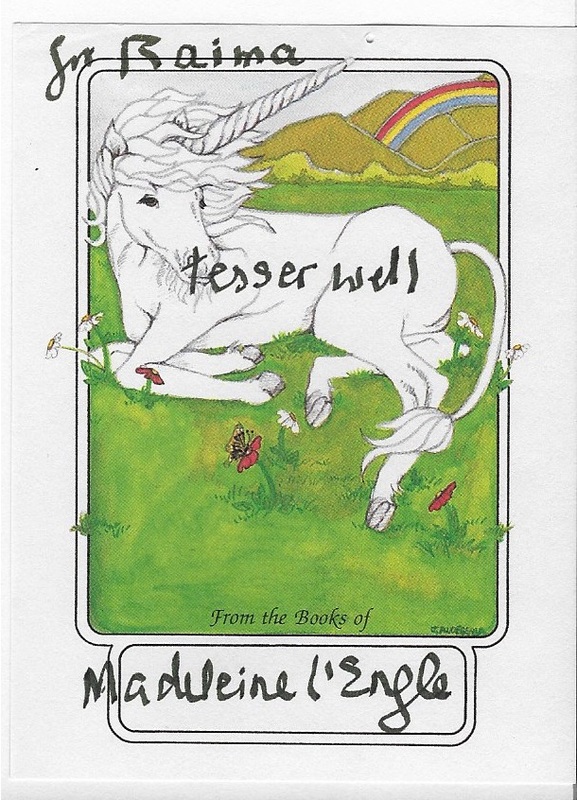 She believed that to "tesser well" required a certain type of inner strength. I don't know if I have what she meant, but I like to think I do, or that I at least keep trying even when there's no reason to believe success will ever come. Because, actually, sometimes success really does happen! This is a photo of the group of men that established our original family homestead, forerunner of our family ranch, known as the 711 Ranch. My grandfather, Ferry Larter, is the taller young man in the center back row. To his left (our right) is his father, my great-grandfather, Claude Larter, and to grandpa's right is Claude's half-brother, Will Larter. In the front row are grandpa's brothers and one brother-in-law. Left to right are: Ray Bradshaw, Shirley Larter, Clark Larter and Fay Larter. These men established a homestead using the acreage around the Whiskey Springs Stagecoach Stop that had been founded in 1908 and run by Claude for years. The building behind them is the original homestead house, which later became the bunkhouse where traveling cowboys bunked while they worked for the ranch. I'm not totally sure of the relationship between Claude and Will, although they are identified in the records I have as half-brothers. Claude's father (my great-great-grandfather) was Henry Neach Larter, born in Norfolk, England, in 1932. He had more than one wife. One of these wives was Phebe Maria Curtis, and she was Claude's mother -- hence, my great-great-grandmother. I'm still not sure who Will's mother and father were, but I'm working on finding out! Phebe's father, Erastus Curtis, was 19 years old in 1847 when he accompanied his father to travel to what we now know as Utah. They came with Brigham Young in the first wave of Mormon pioneers to settle the Salt Lake area. I do know that Erastus had four wives and at least 25 children. It appears that he was a polygamist, since these marriages all appear to have occurred around the same time, in 1848, one year after the first wave of Mormon pioneers arrived in Salt Lake. One of his wives, Mary Caroline Barton Curtis, died in 1911 in a place now called Barton, not far from Whiskey Springs. Some of this family history has made its way into my forthcoming novel, "Belle o' the Waters," due out this summer. Friends who have read early drafts of this book will definitely recognize some of the names, since I've borrowed liberally from my family tree for character names in the novel. I know so little about these early generations, though, and the details of their daily lives, even their exact relationships to one another, are still a mystery, and may always remain that way. Hence, my book is not a family history - it's a novel, totally fictionalized, but based on the history that so many of us who grew up in the western US share. This is a photo of my grandmother, taken when she was seven years old and all dressed up for her big sister's wedding. Grandma was born in September, 1911, so this photo was probably taken in late 1918. As it turns out, I have an eyewitness account of what her life was like at that time. My grandmother wrote a ten-page autobiography in January, 1986, and made sure we all copies. I've been reading it recently, and see that it's possible some of my urge to write came from her! The following is an excerpt from the section of Grandma's autobiography close to the time this photo was taken. It describes events that took place that year in Rexburg, Idaho. November of 1918 brought the end of World War I and the Armistice celebration. The Kaiser was burned in effigy on the flagpole in the middle of Main Street. I got lost in the crowd. I must have been doing a bit of loud crying because the curfew lady, Mrs. Barnes, took me by the hand and asked me my name and where I lived. I can remember telling her, "My name is Mabelle and I live down past the Tabernacle." On the way home, we met Adeline and Hank [her sister and brother] coming back to town to find me. I remember that well because I was a frightened little girl. Who wouldn't have been at that tender age--bands playing, people yelling, the stuffed Kaiser hanging up there on a pole burning and Mrs. Barnes dressed in a long black skirt and black coat, carrying a billy club looped over her wrist and a gun in her purse. No, I won't forget that. And, obviously, my grandmother never did forget that, since she described it vividly nearly seventy years later. What's more, she put it in writing, so all of us can now know what life was like a hundred years ago for one very special little girl. My grandfather (Ferry Larter, left) and his brother-in-law (Dave Luthy, grandma's brother) look like real cowboys in this photo, and they were-- in a way. My grandparents owned a cattle ranch and grandpa always did lots of work involving cows. I never knew my Great Uncle Dave since he died in 1943 when the troop ship he was on in the North Atlantic was torpedoed by the Germans. I do remember these chaps he's wearing, though, or some like them, since my grandfather wore them whenever they needed to drive cattle up onto the range or down into the field, or round up some calves for branding. The building my grandfather and great uncle are next to is the bunk house, as we called it in later years. That is where the real cowboys stayed. These men were what we might now call "migrant workers," since they were hired for a short time by ranchers who needed help rounding up cattle, driving the herd to the range, or branding. 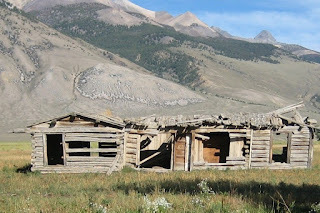 The bunk house was where these cowboys slept while doing a job for my grandfather. He'd given up the role of cowboy for rancher and had become the boss. He always told me that he "used to be" a cowboy, though, and would show me this photo and his chaps and spurs as proof. I wanted to be a cowboy, too, and my parents and grandparents appeased me with a tiny pair of cowboy boots that I wore everywhere. Here's a photo of me "helping" with my baby sister, Becky -- while wearing those boots, of course. The cabin we are in front of was my grandparent's house, built by hand a few hundred yards from the bunkhouse, but of the same log-cabin style. I've pasted here a photo of the bunkhouse I took years later, when I was visiting the ranch, or what remained of it, with my own children. This photo is ten years old, and most of my family has moved away now, so I haven't seen it for awhile. I don't know if any of it is standing anymore. Buildings in that part of the world tend to collapse and crumble to dust after a few decades, leaving only our memories of them. I hope you've enjoyed this week's Throw Back Thursday post. More photos coming soon! I'm excited to announce that my first novel, "Belle o' the Waters," will be published by Mascot Books. This novel has been in the works for nine long years and I am so happy to finally be able to share it with readers. I just signed the contract with Mascot last week, so we don't have a publication date yet, but it is likely to be later in 2018. The idea for this novel came to me from several different directions, but one of the most influential was a story my grandmother told to me. She's the one on the right in this picture, taken in 1946. The other women were cousins of her husband, my grandfather. When I asked what was behind this photo, she always said, "Oh, we was just actin' up," which, as you can see, is exactly what she wrote, in ink, on the front of the photo. Grandma had been born into a Mormon family in a rural area of Idaho and, like all Mormon kids, was due to be baptized when she turned eight. She refused, however, kicking and screaming, and wouldn't let her older sisters dress her for the baptism. She told me she was convinced that if she allowed them to baptize her, she would have to marry Brigham Young. This, mind you, was around about 1920, so Brigham Young, the great patriarch of the church, the man who had led a group of settlers west to settle in Salt Lake and establish what they believed and hoped would be there own country in the midst of another, had been dead for decades. His legacy, however, seems to have lived on in the stories that little girls whispered to each other, passed down from older friends to younger ones, for all that time. This second photo, by the way, is of my great Aunt Lute with her two little brothers. The one on the right is my grandfather, and they are all standing next to the cabin at Whiskey Springs, where our family homestead was located. One thing I never understood was how the strong, competent, self-assured women I grew up around, women like my grandmother and aunts, had come out of what everybody believed was a patriarchal culture, where women were considered as not much more than a man's property. I couldn't figure it out, and I finally had to write a story about a girl, born into a polygamous family in this culture, and watch her grow up to understand where that strength came from. 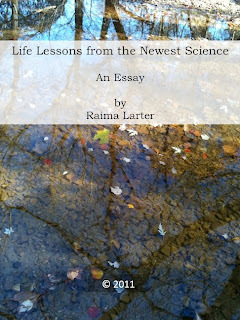 The story I wrote, "Belle o' the Waters," helped me understand what I probably already knew, at some level deep inside: her strength came from the land itself, and her toughness grew out of the necessity to live in that harsh land, protect your children, and make a life for yourself in what was truly the wild West at that time. 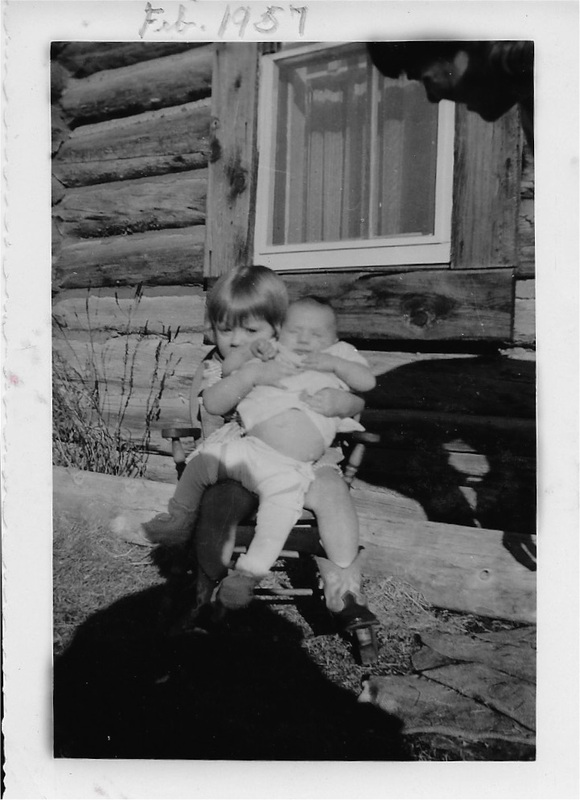 I will keep you posted about progress with the book, but in the meantime, I have a lot more old pictures to post and a lot more family stories to relate, so stay tuned for more!